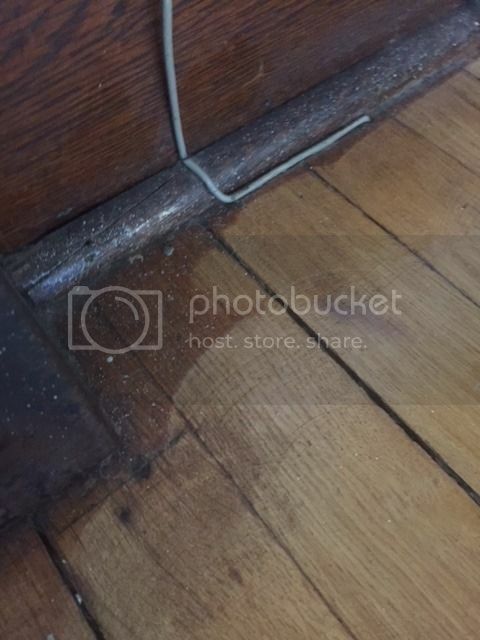 old owner sanded paint off floor, didn't re-coat? 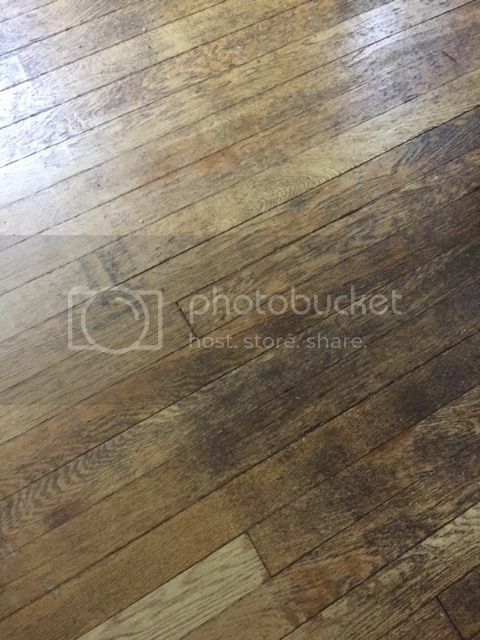 Post subject: old owner sanded paint off floor, didn't re-coat? 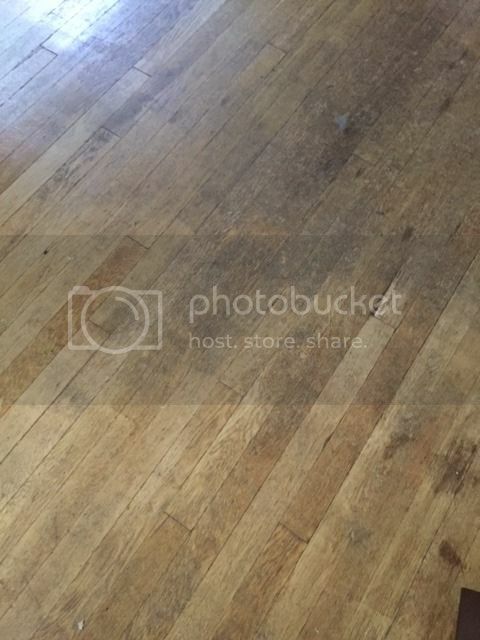 Post subject: Re: old owner sanded paint off floor, didn't re-coat? For best results sand down to bare wood and remove the bevels. Pete can offer more when he comes along. Informative video on the subject.. The floor may be sanded without removing the bevels. Both methods will take a lot of work. If you have an engineered floor you may not want to sand too deep depending on the surface veneer. You need to remove more of the old finish and get to bare wood on the surface. The bevels can be hand sanded to get finish to stick using 100 grit paper. You may get by with a floor polisher using 60, 80 and 100 grit screens to remove as much of the old finish as you can and then apply two or three coats of poly-urethane. You will have the bevels which accent individual boards keeping the style of the flooring.